How can Yogic relaxation techniques help your students? If your efforts to meditate are challenged by racing thoughts and tight muscles, you know that just sitting silently is not enough to relax your mind and body. Maybe you wake up in the early morning feeling tired and tense in spite of sleeping all night. This happens because the physical, mental, and emotional tension in the body is still there, while you are trying to rest. One of the most effective ways to release negativity and encourage healing is the ancient practice of Yogic relaxation. Yogic relaxation resembles sleep, but the conscious mind maintains a state of awareness that is responsive to suggestions – much like the stage between sleep and wakefulness. During this time, negative energy is released, and the mind is susceptible to new beliefs and ideas. This is the time when the seeds for deep-rooted changes are planted. The Yogic poses, or asanas, were designed to prepare the body for meditation by releasing energy blockages in the physical, mental, and emotional bodies. 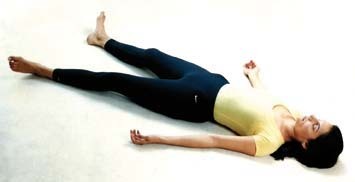 Yogic relaxation techniques are traditionally practiced in the Corpse Pose (Savasana) at the end of a Yoga practice. However, some styles of Yoga practice relaxation in Savasana at the beginning and end of a session. Yogic breathing, or Pranayama, is also an important part of Yogic relaxation. When there is tension, breathing becomes shallow and fast, but the body can be reprogrammed for healthier techniques, which become habits. Yogic breathing combines abdominal breathing and chest breathing, inhaling through the chest and gently pushing against the abdomen, then exhaling from the chest, and finally the abdominal area in a continuous, circular pattern. What are the Benefits of Yoga Relaxation Techniques? According to some medical researchers, stress triggers, or contributes to, most illnesses and chronic conditions. With growing problems involving health care and global economic instability, the widespread practice of Yoga relaxation could have a significant positive impact on our world, with much less cost than other methods. Visit our online Yoga instructor training community. The ancient practice of Yogic relaxation is one of the most effective ways to release negativity and encourage healing. Thank you Dr. Paul Jerard for writing this nice article.